WANT SOMETHING DIFFERENT THAN THE USUAL WEIGHTS AND MACHINES? 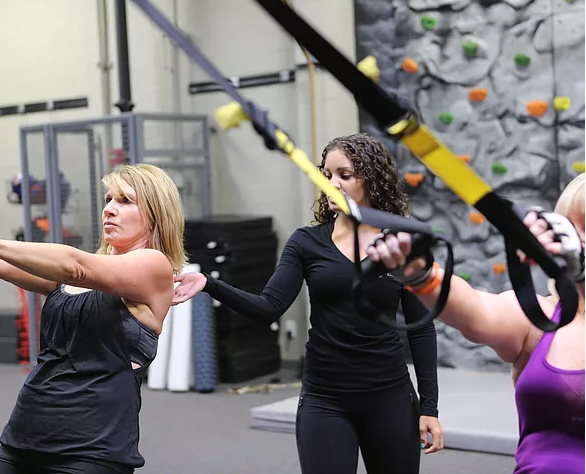 Try TRX suspension training, an all-in-one piece of equipment that combines strength, flexibility and stability into one intense full body workout. Born in the Navy SEALs, this highly portable performance training tool uses only your body weight to give you access to hundreds of exercises, all of which you can do at different angles for various degrees of difficulty. Without machine support, you’ll find the need to engage more muscle groups than you usually do with traditional gym weights. 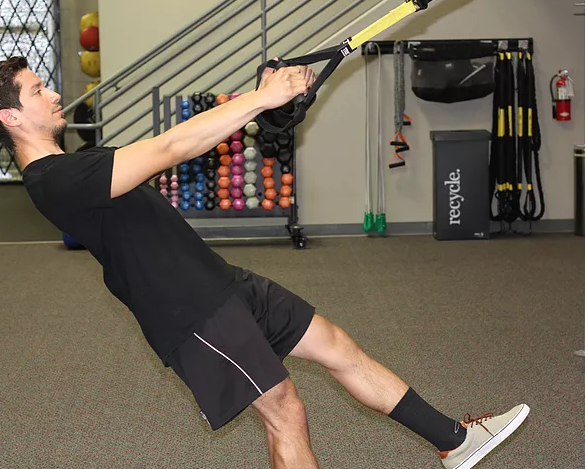 Not only do we offer TRX suspension training, but also RIP trainers, which provide a unique mix of rotation to the movement. Challenge yourself by combining rotation, mobility, balance and coordination into a full body challenge! 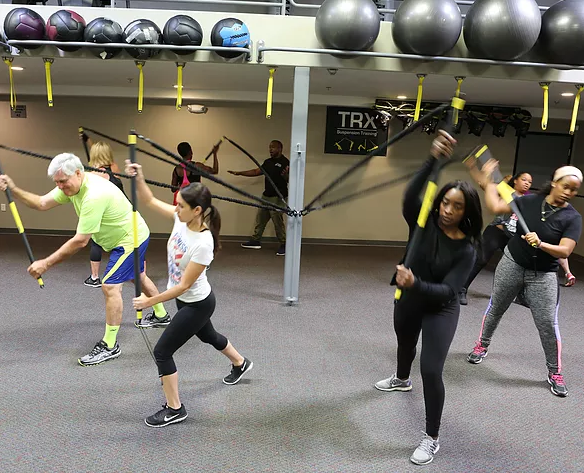 Combine the RIP with TRX suspension training for multiple degrees of resistance, hundreds of exercises, a great workout and the motivation of a small group class! Utilize elastic resistance to build explosive power in our RIP classes, perfect for athletes, fitness enthusiasts and even people wanting to exercise for the first time. The RIP trainer allows you to work with both control and rotational force, just as you do in many everyday activities such as throwing a ball or carrying groceries. This class allows you to work in all three planes of motion in every rep, set and workout.